As predicted by the International Organisation of Vine and Wine (OIV) in late 2017, global wine production has dropped to its lowest point in 60 years, with the world’s wine producers managing to only push out 250 million hectolitres (mhl) by the end of the year. According to the OIV, the drop in production can be attributed to climate change, where many European nations – the biggest producers – saw poor and extreme weather conditions that slashed production. Wine production totalled 250 mhl last year, down 8.6% from 2016 – the lowest level since 1957, when production had fallen to 173.8 mhl. One hectolitre represents 100 litres, or around 133 standard 750ml wine bottles. The three biggest wine producers were also the biggest losers for the year, the OIV showed, with Italy, France and Spain wine production dropping by 17%, 19% and 20%, respectively. South African wine production remained surprisingly stable, considering the country’s largest wine-producing region, the Western Cape, has been hit hard by sever drought conditions and water restrictions. While 2017’s yield were relatively stable (up 3%) the full effect of the drought on the vineyards is yet to be felt. According to wine experts, yields could ultimately be down between 25% and 50% in South Africa in 2018, which will push up the cost of wine – however, independent viticulturists have also said that it is too early to tell, and that vineyards in Paarl and Stellenbosch have proven to be quite resilient. The OIV’s prediction is that wine production will sink by 20.4% in 2018 to 8.6 mhl, down from the 10.8 mhl recorded in 2017. 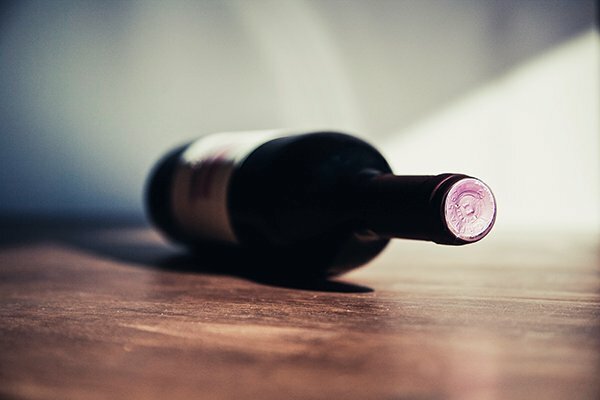 Former FNB CEO and wine connoisseur and producer Michael Jordaan has warned that wine prices were likely to rise as a result of the global drop in production.